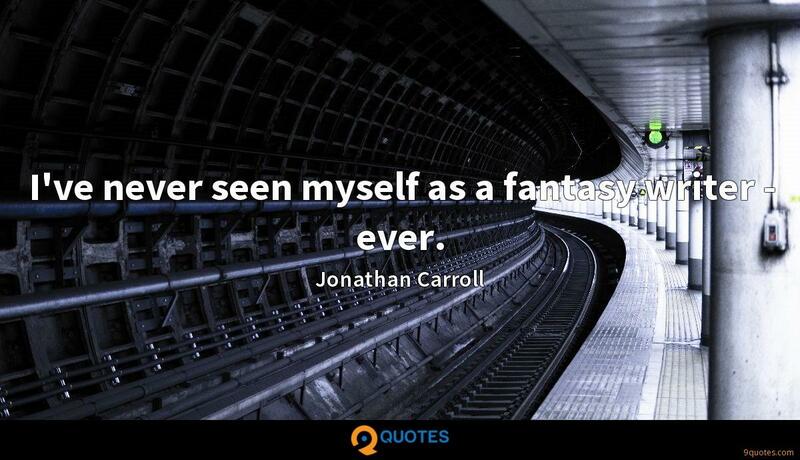 Jonathan Carroll Quotes. 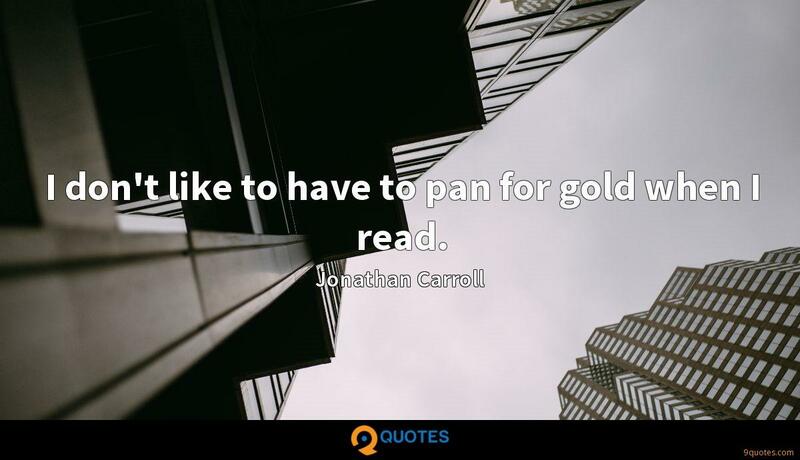 9quotes.com, 2018. http://www.9quotes.com/quote/jonathan-carroll-86103, accessed 20 April, 2019. 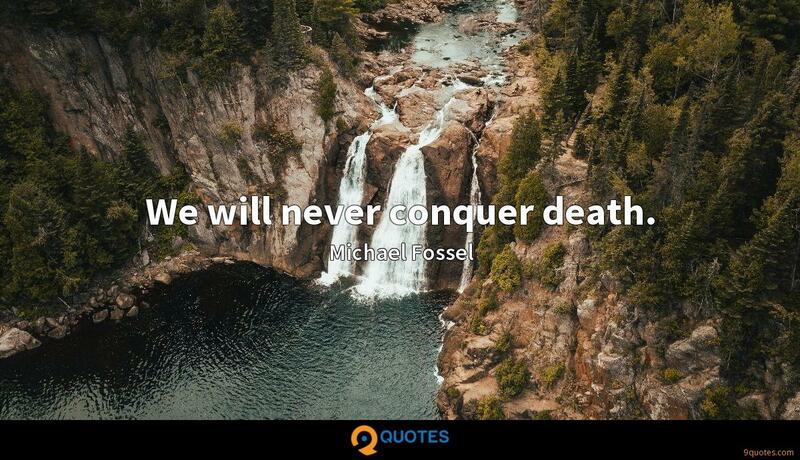 We will never conquer death. 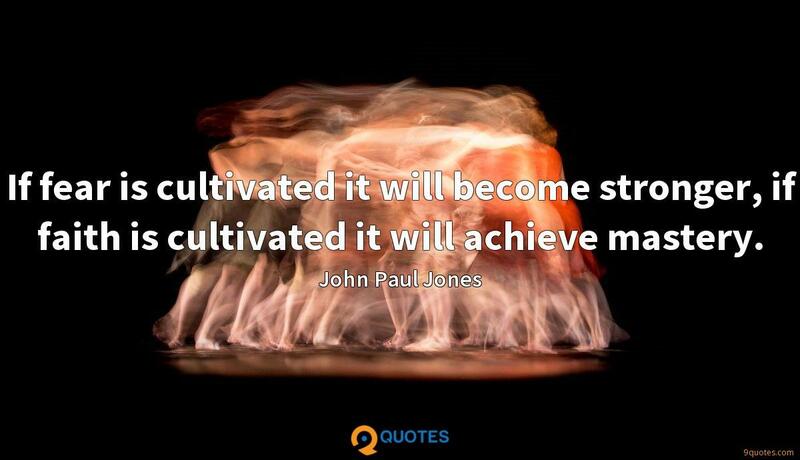 In the future, I think it's pretty plausible that collective intelligence tools and skills will be important in order to be a part of global dialog, global business, and global creativity. People who know how to negotiate collective intelligence networks are going to be in a good position to contribute to global society. One of the saddest realities is that we never know when our lives are at their peak. Only after it is over and we have some kind of perspective do we realize how good we had it a day, a month, five years ago. 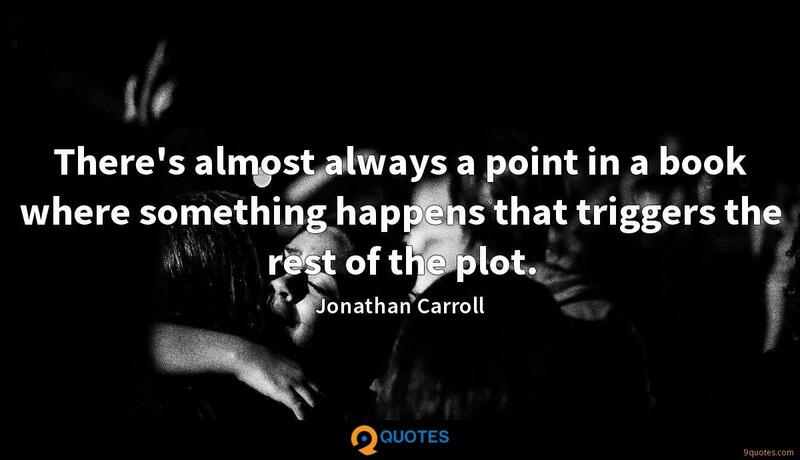 Very often I'll find out at the end of a book what I put in at the beginning. 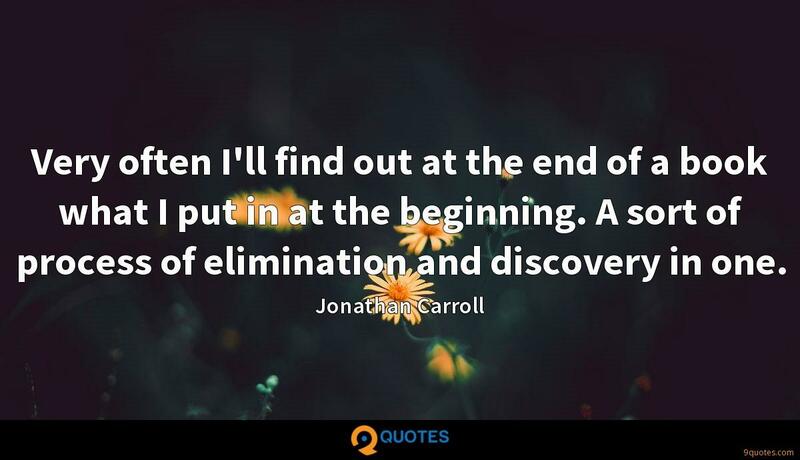 A sort of process of elimination and discovery in one.